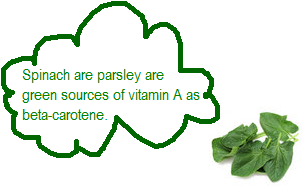 Vitamin A is a crucial vitamin that your body needs to maintain healthy skin and good eyesight. 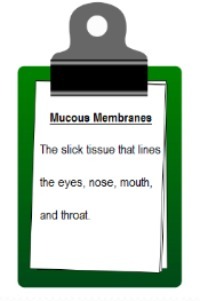 Think of it as a moisturizer that works from the inside out. Vitamin A works to keep our skin and other mucous membranes from getting dry. Not only does Vitamin A help keep our skin smooth and supple, it also protects our eyes from age-related degeneration. 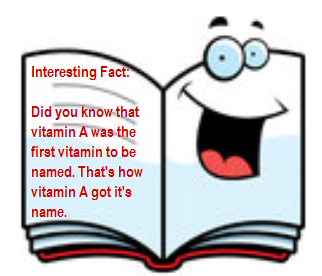 Last but not least, Vitamin A encourages our immune systems to use the cells that we need to fight off infections. It is a credible antioxidant and has been shown to aid in cancer prevention and acts as an active immune system enhancer. Vitamin A is found naturally in orange and yellow fruits and vegetable as beta-carotene and in animal fats like egg yolks as retinol. 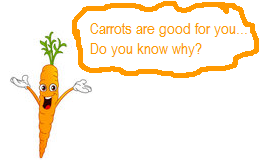 Beta-carotene has strong antioxidant abilities. It helps protect our skin and cells from the many toxic chemicals that we come into contact with on a daily basis. Retinol is essential to eye health (get it…Retinol-Retina-the retina is in your eye) and is a popular ingredient in beauty products.